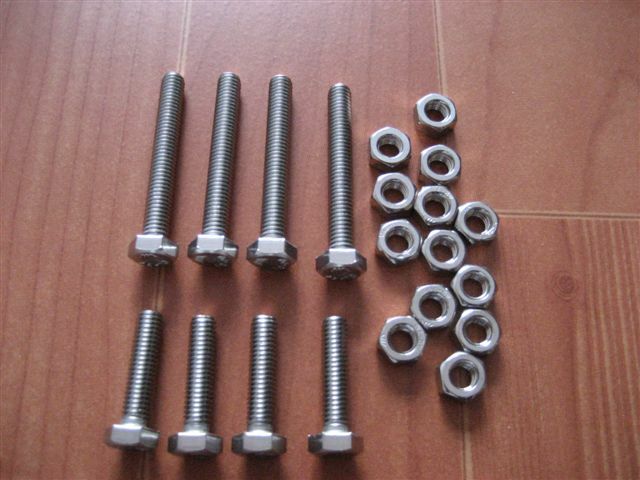 Note that these plates are designed to use four each, of the nylon bolts. Each bolt, using 16 nylon spacers, to better control plate spacing. 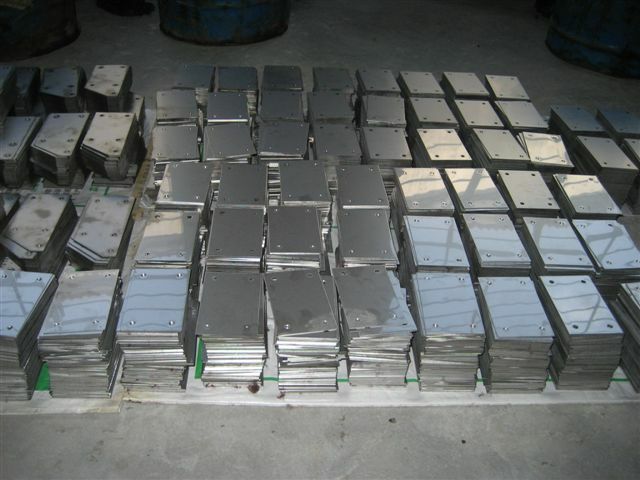 These are flat plates Model 304L, which can be used for either open bath cells, or dry cell applications. 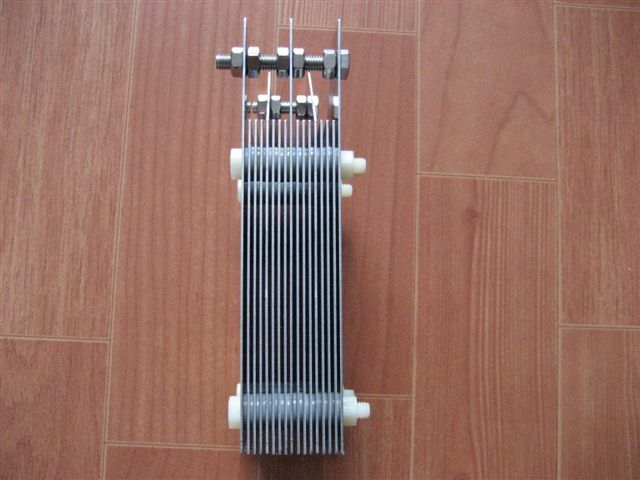 Low carbon content 304 stainless steel, 100% non-magnetic, to maintain high production output, for many, many years, to come. 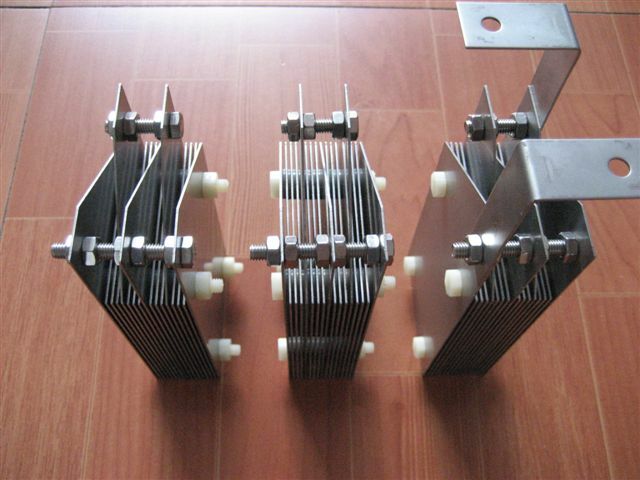 These units are being offered wholesale lots of 100 units at $38.00 per 17 plate assembly, in kit form. We also offer the same assemblies retail, at $49.00 per unit, plus shipping cost. This photo represents approximately ten percent of the entire production, of the plates,in this production order. 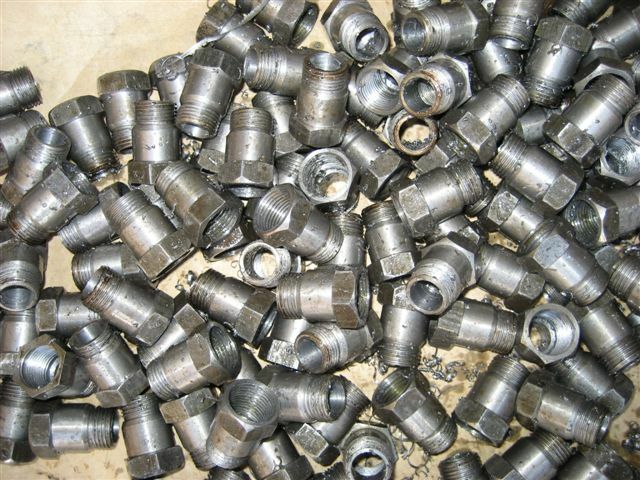 As you can see, we have an ample supply, of quality 304L assemblies, precision cut, and rigidly spaced, for optimum HHO production! Note that in the above picture, gap is perfectly maintained, although looking down the slope of the pole plates, it appears to make the plates look out of allignment. That is purely an optical illusion, as the below picture shows. The plate straps, are able to me mounted in several different ways, so that side post terminals, might be used, in a clear acrylic tank, or top post, using ABS caps, or PVC. Using four points, to perfectly allign plates (3/4" in from each corner), prevents plates from being warped or bent, especially when Mummy wrapped! This is extremely important, if using any vinyl product, to wrap the electrodes, as vinyl shinks, when heated! To demonstrate how cleanly these plates are cut, we stacked them (actually leaning them, one agaist another), and they are as flat, as a new deck of cards. Note this is after they have been completely finished (with holes), and are ready for sanding, and assembly! All the hardware needed for assembly, also is included. Note, if using these plates for a drycell application, membrane (shower pan gasket) is not included! There are no dimples, from drilling, or cutting, and the plates are 100% flat! 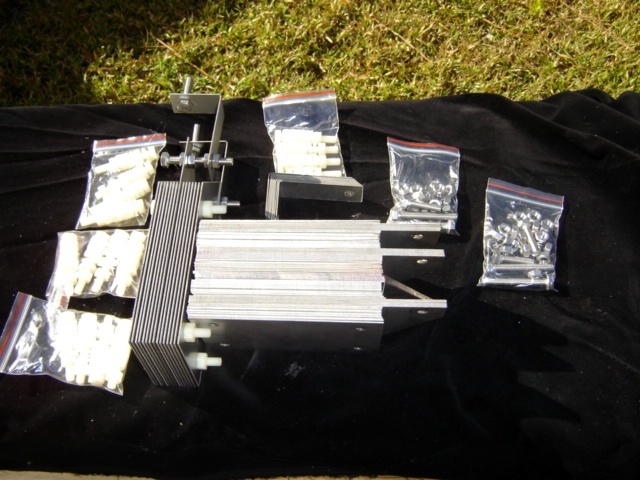 The photo shows enough plates (leaning), to do 4 complete assemblies, and all the needed nuts/bolts (both stainless, and nylon), spacers (16 on each nylon bolt, with nut), are also provided. All stainless, is matching 304L grade! 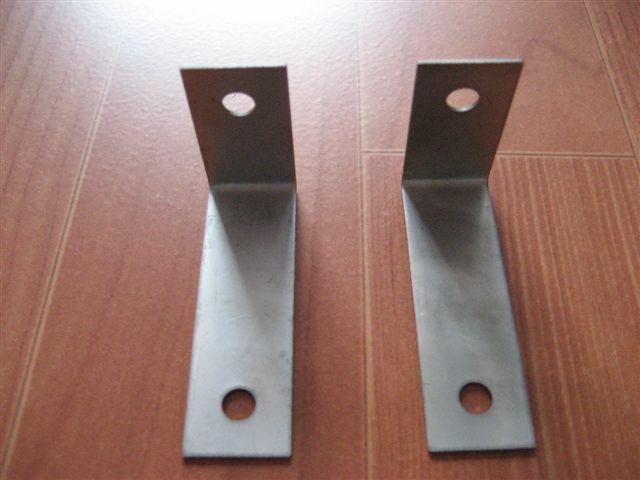 If you prefer to alter plate spacing, we can supply as many additional spacers, as you wish, for a reasonable additional charge. 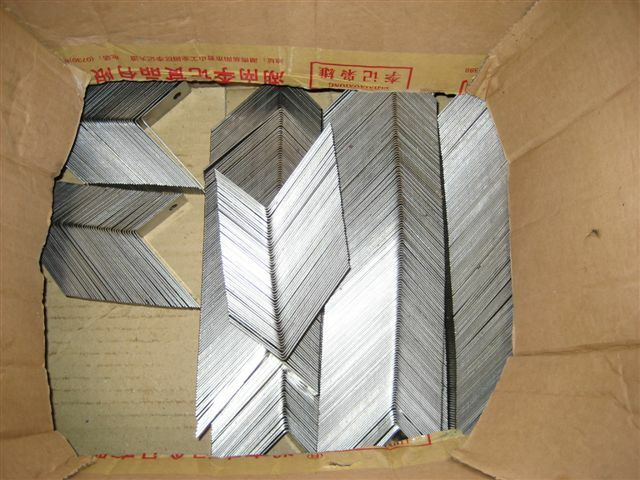 Spacres are 0.045" thick (1.1 mm). Below are the straps, used to connect to battery terminals. 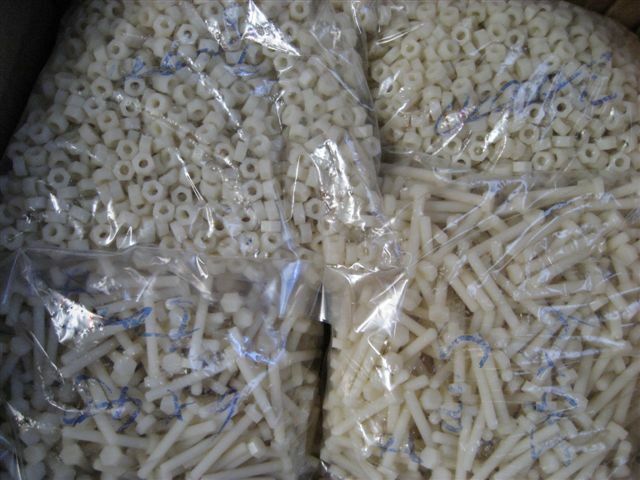 And the following pictures are of nylon bolts/nuts, and nylon spacers. 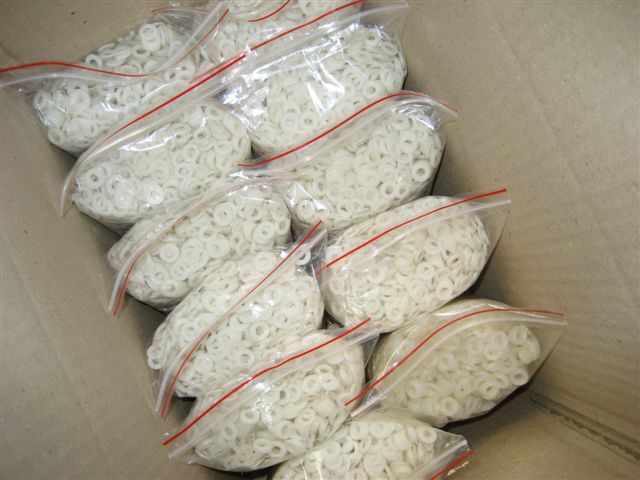 We have a more than ample supply of extra nylon hardware parts, should you wish to alter plate spacing. Also, we have two thousand o2 extenders. Note the o2 extenders pictured, have not yet received the zinc plating. The finished product will appear to be almost chrome like, finished with Zinc plate.